I finally missed a day of posting, so today you get two pictures. I took photos yesterday, but I’m not thrilled with them, so I’ll provide two today (though I’ve given more than one on several days:). First up, B is obsessed with her daddy’s “truck” (it’s just a Tahoe, but it’s cool because she’s always in mommy’s car…a really awesome Camry;). 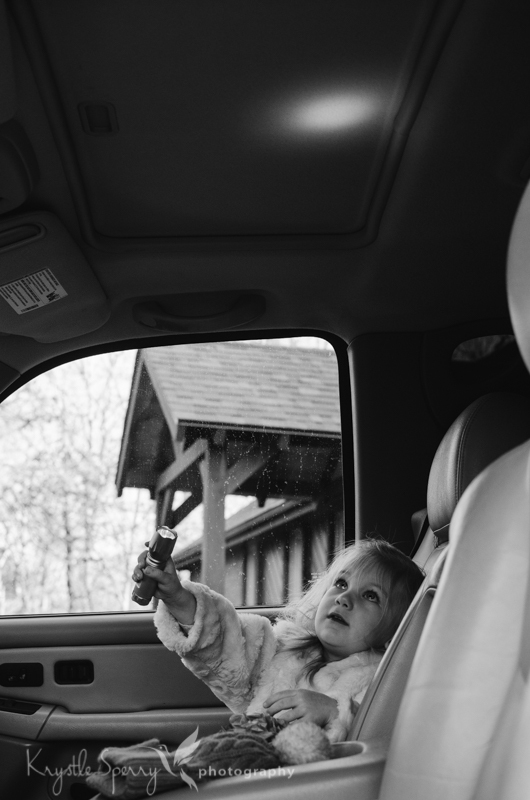 She just wanted to play in the truck with her flashlight, putting on her “space show” (another Doc McStuffins reference). There there’s a sweet daddy/daughter photo. 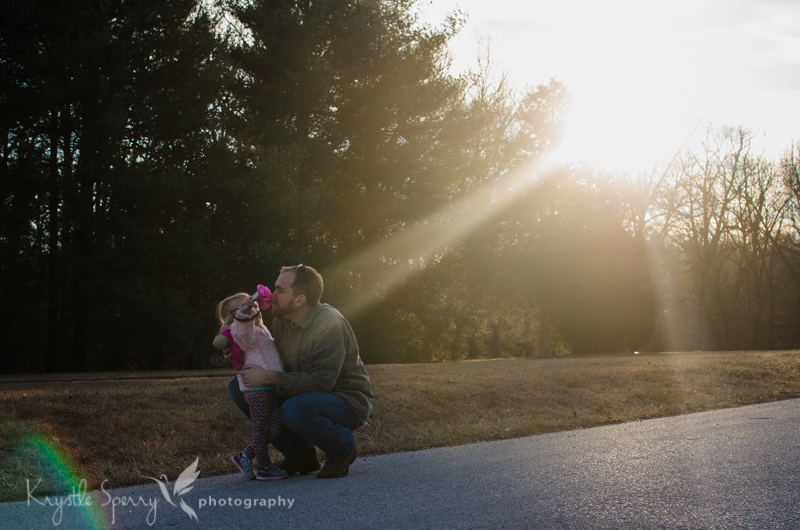 She wanted him to smell her flower that mommy brought her home from a birthday party ❤ Had a little bit more sunflare than I wanted, but I still love it!